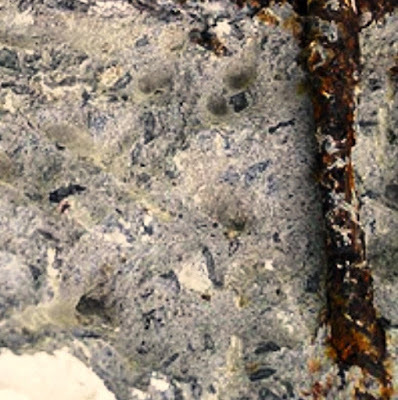 Due to many external attacks reinforced concrete is deteriorated; when this deterioration reach to reinforcing steels or near them, they get corroded. So during repair of reinforcing concrete, rebar embedded in it frequently have to be repaired. The first step is to remove concrete around reinforcement which has discussed in last post in details. The next step is to inspect reinforcing steel; after removing both deteriorated & some concrete (when required), reinforcing steel have to be cleaned and through inspection is required to ensure no replacement of steel is required. If reinforcement is found not deteriorated then usual concrete repair process is undertaken. When it is found that reinforcement is not capable to perform as per existing design or for future strengthening, the reinforcement have to be replaced or supplemental reinforcement have to be added. The objective of repair work should be predetermined to give repairmen clear idea before exposing reinforcement. The usual cause of damage of reinforcement is corrosion as pitting or scaling. The exposed surfaces, during concrete removal, should be cleaned thoroughly to remove all rust, oil and loose mortar. The repair material and procedure defines how much cleaning is required. In limited cases, wire brush or other handheld tools are permitted; but sandblasting is generally recommended method. While cleaning reinforcing steel, care should be taken not to be contaminated by oil; similarly while removing loose particles by blowing away from patch area (after cleaning), concrete layer must not be contaminated by oil. The source of oil is considered from compressor. The solution of these contaminations is to use either compressor having efficient oil trap system or oil free compressor. But cleaned off reinforcing steel from concrete or other contamination, has every possibility of getting rusted within the period between cleaning and placing of new concrete. Again the rust may be loosely bonded or tightly bonded; depending on nature of rust surface cleaning tasks have to be undertaken. If rust interfere with bond between concrete and embedded steel (when loosely bonded), reinforcing steel has to be cleaned again just before placing concrete. In some cases, protective coating is recommended after completion of cleaning. 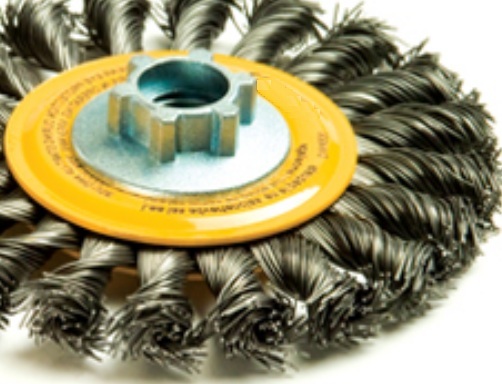 If rust have tight bond with steel that cannot be cleaned by wire brush, it is recommended not to clean further. The repairing of reinforcement, as concrete, is also will be as good as preparation of surface irrespective of material, splice length or type. It should keep in mind that, protective coating will also influence splice length.